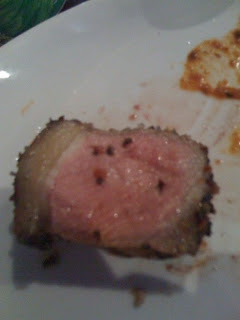 The first thing you need to know about Churrasco Brazilian style BBQ: All You Can Eat Steak. 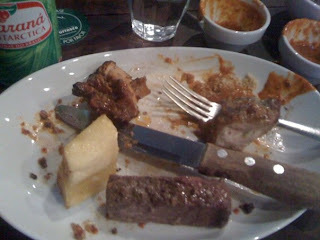 So, please empty your stomach before you heads out to Churrasco. Also, as with every other famous restaurant: book in advance to avoid disappointment. 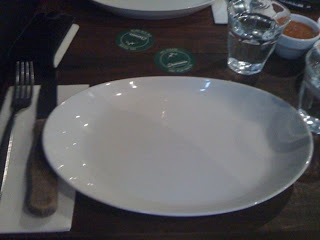 If I may categorise, their churrascaria is divided into two: the common lot and the uncommon dishes.Throughout the night, they will give out the common beef cuts like Sirloin, Rump, Eye Fillet, Scotch Fillet and BBQ Chicken. But, you must keep an eye on the uncommon ones that only passes once every 15 minutes or so. Sausages, lamb, ham, and pork are among the uncommon dishes. There is one particular dish that I love the most: the Cheese Bread. It is the tastiest bread I’ve ever eaten! This dish rarely comes out, only once every half hour. It’s basically cheese that is baked and plumped like bread, but it still retains the rubbery and tasty feel of a cheese. 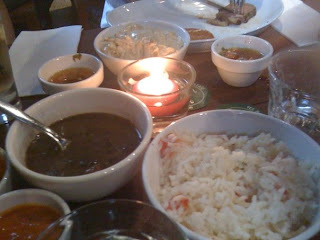 To accompany the meal, you will be given three sauces (chimichurri, farofa, vinagrete) and three side dishes (Rice, Red Beans, and Potatoes).I will give you an explanation of what the sauces are since most of you have never heard about it before. 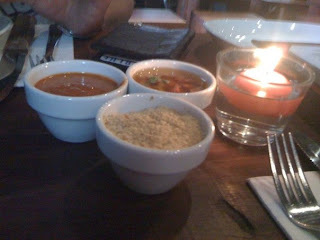 As you can see from the pic, Chimichurri is the orange sauce, farofa is the one that look like bread crumb, and vinagrete is the tomato vinegar. 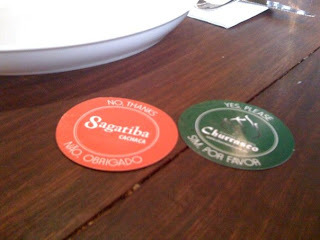 I suggest you to mix the chimichurri with farofa to start of with and add vinagrete towards the end of your meal. 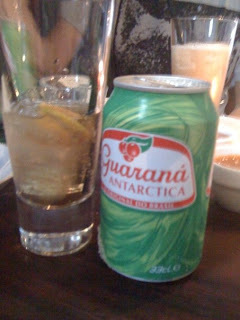 For the drink, if you don’t drink Caipirinha or Palma Louca (Brazil’s most famous beer), I would suggest you to drink Guaraná Antarctica. 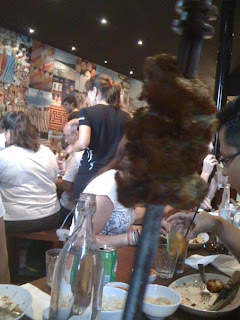 This drink is fantastic and only available in Churrasco (couldn’t find anywhere else in Sydney). For those of you who are vegetarians: Bad Luck, because this restaurant is not meant to be for you ^_^ The only green that you’ll see in the menu is Zucchini. They serve salad for an extra $10.50 a bowl, which I suggest not to try. kl asli buah guarana tuh ada boosting agent semacam caffeine gitu, yg bs bikin addicted…katanya hostku yg Brazilian.